Looking to move to a place where you can enjoy the best of the city AND the countryside? That’s just one of the benefits of living in Decatur, Texas. This quaint, historic town is in the perfect central location, with a quick drive to Fort Worth or Denton. 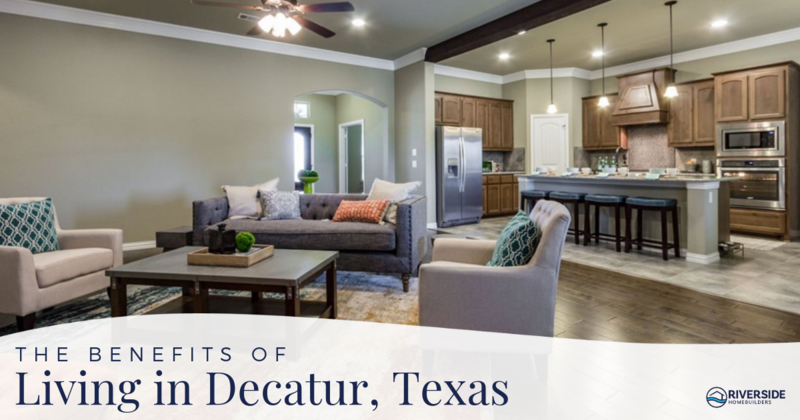 Riverside Homebuilders has two communities in this charming city—Singletree Estates and Hillcrest Meadows—and here are six great reasons to build your next home in Decatur. Your Riverside home in Decatur offers the best of small-town living—without leaving the big city behind. Want to wile away your afternoon at Lake Ray Roberts in Denton? You can get there in a half-hour. And if you want to spend a day soaking up the big city, hop in your car and head to Fort Worth, 25 miles away. In less than an hour, you can be cheering for the Cowboys or screaming in delight on the New Texas Giant at Six Flags. When the day ends, retire to your home in quiet, country-inspired luxury. The big city may be nearby, but Decatur specializes in country living. Enjoy wide-open rural vistas outside your front door and small-town charm in downtown Decatur, a small city that's perfected the art of hospitality. Neighbors are more than neighbors: they're friends. And the area swims with deep history. Enjoy the western lifestyle at Decatur's annual rodeo or embrace the area's storied history at the Chisholm Trail Days event. Decatur Independent School District serves both of Riverside Homebuilders’ two Decatur communities. The school district takes pride in providing a quality education to all of its 3,300-plus students. The schools guide their students to perform far above average—in fact, the class of 2016’s average SAT score was an impressive 1439. No matter whether you're craving cake or candy, Decatur Town Square has you covered. Stop by Cakes by Leisha for a sweet selection of cakes, cookies, and pies. 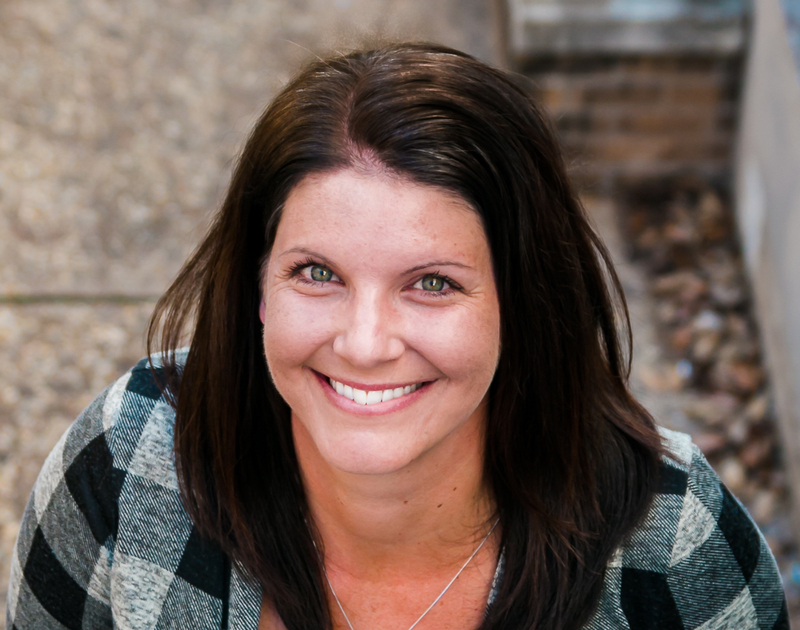 The proprietor is happy to brainstorm a custom creation to celebrate a special occasion, like your housewarming! Just down the street, find any sugary, candied treats you desire at Hey Sugar Candy Store—even some Harry Potter-themed sweets. Decatur embraces the small-town life, but still hosts an amazing collection of boutiques. Pick up glitzy necklaces and on-trend additions to your wardrobe at Simply Coco, and find perfectly curated outfits at The Corner Place Boutique. Looking for something a little more vintage? Nooks 'N Crannies has you covered from head to toe. And men, don't feel left out: Biggar Hat Store welcomes you to a one-on-one session to custom-create your perfect felt hat. Your new Riverside home features a gorgeous chef's kitchen, but sometimes, you just want someone else to do the chopping. Decatur Town Square serves up a number of cuisines, but homeowners eager for Western-inspired fare will be particularly pleased. Sweetie Pie's Ribeyes transformed an 1880s space into a gorgeous cowboy steakhouse, and Rooster's Roadhouse has a full menu of BBQ, beer, and burgers—the perfect way to kick off a weekend or turn an ordinary weeknight into a feast. Riverside Homebuilders’ Decatur communities give you more than a beautiful home. Become part of a hometown that gives you a lifestyle. Both Singletree Estates and Hillcrest Meadows include large homesites of up to one acre and more. Take a look at the luxurious interiors that are a trademark of Riverside Homebuilders’ new construction homes. Contact us to learn more about living the country life less than an hour from the big city.